This is our sixth post in our summer series featuring new organizations participating in their first Google Summer of Code. The organization administrators and mentors explain their projects in more detail and highlight the tasks the students are working on this summer. Unknown Horizons is a 2D real time strategy simulation with an emphasis on economy and city building. The goal is to expand your small, unprotected settlement to a strong and wealthy colony. A well balanced economy, strategic trade and sage diplomacy are the keys to increase your power and extend your realm in this New World. As a small umbrella organization, we applied together with our engine FIFE. • Artificial Intelligence - We are very excited to have Ott Tinn working on autonomous computer players for our game. He plans to code different AI styles: aggressive and defensive players, fast and slow colonizing, different preferences with respect to resources and buildings. • Combat - Mihai Bivol volunteered for bringing both warfare and peace to our lands. Currently it is impossible to interact with other players beyond the occasional trade. After his project for this summer, players will be able to hold furious sea fights and raging land battles. Mihai will also add a diplomacy module to allow reparation of shattered alliances. • FIFE performance improvements - Kajetan Swierk's task might sound simple at first sight, but it is a tough one and really rewarding: a better FIFE performance also affects all other game clients, not only Unknown Horizons! Atlas textures and an improved rendering pipeline are just two of the things scheduled here. We already see FPS improvements of more than 100% even in this early stage. This will most likely improve even further when atlases reach production state and integrate well with the FIFE clients. We are excited to see what the students have achieved in the past few weeks. The progress so far has been great and leaves little doubt as to what our students will be able to accomplish this summer! The Isabelle team at Technische Universität München develops an interactive theorem prover. Interactive theorem provers are tools that can be used to prove logical formulas about mathematics or computer science (e.g., program correctness). Our goal is to make it as easy as possible for the end-user to prove theorems. We have two Google Summer of Code students helping us: One is working on our new very flexible user interface based on jEdit and Scala; the other student is working on textual proof generation and refactoring. At Openwall, we develop free software with a focus on computer security, including Openwall GNU/*/Linux (Owl) a security-enhanced Linux distribution for servers, appliances, and virtual appliances; and many others. We are very happy to work with our Google Summer of Code students. Vasiliy Kulikov is working on Linux kernel hardening, focusing on acceptance of patches into the mainline kernel. Submitting security hardening patches to LKML is generally a thankless job to do, but Vasiliy manages very well. Dhiru Kholia is adding support for more non-hashes to John the Ripper, our password cracker. So far Dhiru has contributed support for auditing/cracking of passwords/phrases on SSH private keys, PDF files, RAR archives (already integrated into -jumbo versions of JtR), and ZIP archives. Lukas Odzioba is adding GPU support to John the Ripper, to use graphics cards for much faster audits. Yuri Gonzaga is working with us on a new password hashing method for use on authentication servers equipped with FPGA boards. Luka Marcetic works on a C Library Unit Testing Suite, or cluts as he calls it. Luka's mentor is Rich Felker - the author of musl, a lightweight C library - but we expect that cluts will uncover bugs not only in musl, which is still in its infancy, but also in other and more established C libraries. I wish all Google Summer of Code students good luck. These are just four of the 50 new organizations participating in Google Summer of Code this year. 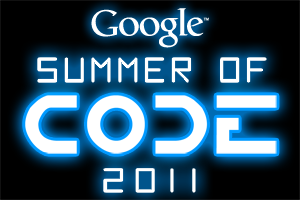 For a complete list of the 175 organizations participating in the Google Summer of Code visit our program site. Please check back next Friday when we feature still more new organizations.